The ibis hotel is located beside the river Yonne, 10 minutes' walk from the city center, train station and famous Abbé Deschamps stadium and a stone's throw from St Germain Abbey, St Etienne cathedral, the theater and the museums. The hotel has 50 air-con ditioned rooms, some of which enjoy an impressive view of the river Yonne and the old town. Bar and snack service available 24 hours a day. Free Wi-Fi. 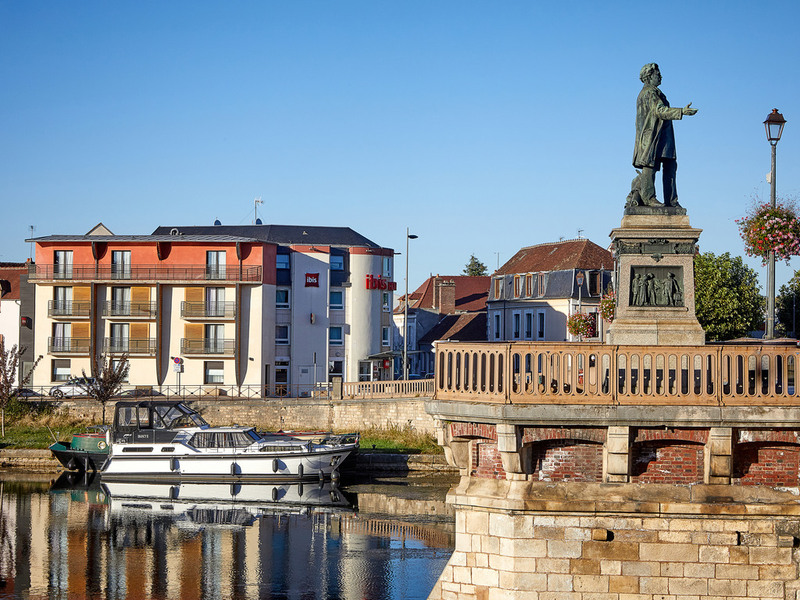 The hotel is situated on the banks of the River Yonne by the Pont Paul Bert (bridge), 10 mins' walk from the city center, the station and the Stade de l'Abbé Deschamps (stadium).